In Windows 7 there are many system run services that we often don’t require for our work. So Disabling or not running this service unnecessarily we can save the boot time as well as speedup Windows 7. 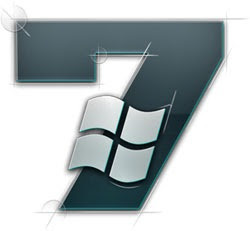 Here are a list of Windows 7 system services that can be safely set to Manual or Disabled. IMPORTANT: It is more safe to set the following services to manual rather than disabling them. This is because when some times if windows needs a service windows can start it by itself if and only if it is set to manual. If you set it to disabled Windows 7 cannot start the service by it’s own. Next Entry: Firefox Foxmarks Addon now available for Internet Explorer and Safari Download now!!!! Allen Cox, it would be better to just disable the service, you do not need computer browser to tell you what machines you have on your network, also its buggy have the time. The smart money is on setting a static ip for each of the pc’s and configure it into the router’s DNS or put them in your computers HOSTS file. Then map the drives, and if you need to just goto the computers ip address or name. do NOT disable TCP/IP NetBIOS Helper if you want to network Win 7 with Win XP machines on your home network. Windows 7 will not see the XP machines without that service running. I spent an entire night looking how to fix my network problems until I remember that I disabled a bunch of these services per this article. This is still a good website though and I appreciate CU sharing these tips. Worked like a charm otherwise. So how exactly do I do this? I don’t see no instructions. Type services.msc in Start menu search box and hit enter > Services windows will be opened now, locate the service that you want to disable > Double-click on the particular service to open Properties > Under the General tab, change Startup type of the service to Disabled to disable the particular service and then click Apply button to save the change.